What's The Most Impressive Abandoned Military Base In The World? 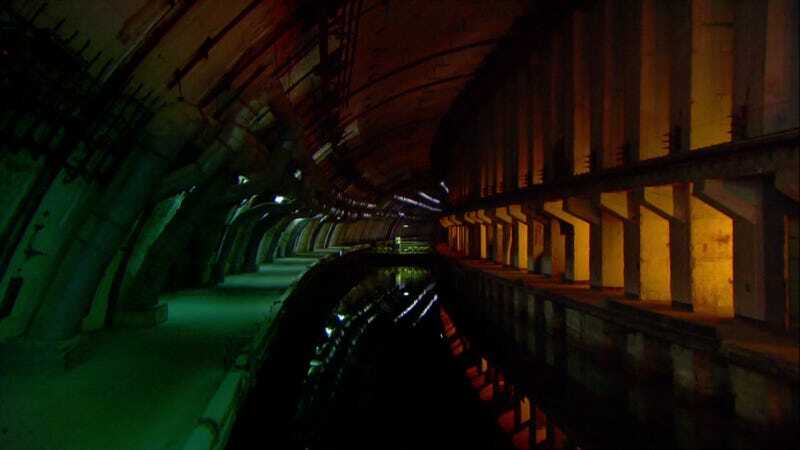 This is the former Soviet nuclear submarine base in Balaklava, Ukraine. It was so secret that the USSR took Balaklava off the map after its construction. And now it offers guided tours. In fact, if you're important enough you can drive through it, like Top Gear did last episode, or Wired did two years ago. That's actually a great read and you can check it out right here. I'll just share this line about Wired's guide for their tour. She had worked on the operational side of the base for five years with level-two security clearance — just one step below the highest possible — yet in all her time at the facility she had never known the nuclear side existed. She was only made aware of it when she began guiding tours here years later. As she puts it: "It was in our culture then not to ask about what didn't concern us. A common saying at the time was, 'The less you know, the better you sleep.'" It's an amazing structure, built under a mountain, presumably planned while Stalin was sitting in a giant armchair stroking a white cat. Top Gear sowed off a map of the place leading into a now yacht-filled bay. But surely you know of an even more impressive abandoned, disused, or re-purposed military base. What's your favorite?